Unity’s mission has been to democratize game development and put developers in the best position to succeed. One avenue that they used to fulfill that goal is the Unity Asset Store. 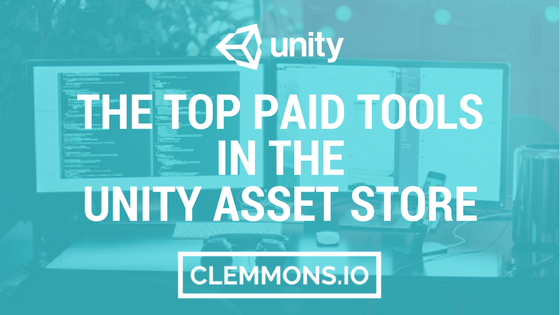 Here, developers can search for various assets that they can seamlessly integrate into their game projects within the Unity engine. Examples of Unity3D assets include shaders, scripts, graphical tools, 3D models, animations, plug-ins, SDK’s, and much more. This benefits the content creators and service providers as well as the customers that implement the assets; saving valuable development hours. A 20% Discount on select Asset Store Items for the duration of the subscription (until Spring 2019). Amplify Shader Editor is a node-based shader creation tool. I like it because it has an interface that appeals to both programmers and artists alike. You can connect nodes to each other and adjust the respective properties thanks to Amplify’s UI design. Behaviour Designer allows Unity developers to create behaviour trees in order to control in-game elements of artificial intelligence. Gaia is an all-in-one terrain generator designed for game artists to create in-game worlds at scale. DevDog has built quite a few Unity assets (another is listed below), and Odin is one of their best. RootMotion also created the Final IK asset (found below), which pairs nicely with PuppetMaster. The ragdoll and behavior system makes it easy to add physics to your characters. It enables developers to continue playing an animation on their ragdolls through physical muscle torque. This tool for animating ragdolls adds intelligence & realism to biped characters, so developers can dynamically adjust muscle and pin weights, edit colliders and joints in the Scene View. UMotion Pro is one of the best animation tools for Unity. You can purchase Unity Pro here. A few common questions I often see on social media are “Which Unity Asset Should I Purchase?”, or “What are the best tools on the Unity Asset store”. Most of those answers refer to free Unity Assets, which in my opinion don’t need to be recommended, as there’s no risk to obtaining free Unity assets (perhaps with implementing them into live production, or maybe with the time it takes to test them). I might benefit if you decide to purchase any of these items, but it does not affect the asset publisher in any way. Also, if you are an asset publisher or know one that would like to be featured in this list, please feel free to contact me and I’ll take a look. Tip 2: If you find an asset that you really like, but can’t currently afford, you should add it to your wishlist. The Unity Asset Store (or the publisher) will occasionally have promotional discounts – sometimes multiple assets will go on sale at the same time, so check back frequently to find deals! Best HTTP (Pro Edition) is a network plugin for Unity3D. It supports REST, WebSocket, Socket.IO, and SignalR request customization (others as well). This would be ideal for games that involve online multiplayer gameplay as a core design component. Photon PUN+ is a networking plugin for Unity Games. It includes cloud game hosting for up to 100 concurrent players, which could be quite useful for beta testing new games. Inventory Pro is a Unity3D asset that allows game developers to manages their in-game inventory systems, which can include items, equipment, weapons, and currencies. This is a must-have for most RPG games, as they usually involve quite a few items. Obfuscator helps you protect your game’s code and art assets from reverse engineering. Nottorus is a scripting and debugging tool for Unity that helps game programmers visualize logic similar to the Unreal engine. UFPS : Ultimate FPS is a Unity project template for First-Person Shooters (FPS). FPS games have been around since the earliest days of PC Gaming. This templates allow game creators to get started without having to reinvent the wheel. Master Audio: AAA Sound by Dark Tonic Inc.
Master Audio: AAA Sound is Unity’s premier audio solution. A game’s sound & music can be one of its best qualities. LipSync Pro can be quite useful if you use a lot of character dialogue in your game. Edy’s Vehicle Physics will help you not have to reinvent the wheel (no pun intended) when figuring out how to adjust your game’s physics. Of course, you may choose to not use realistic physics for certain types of racing games, which is your prerogative as a game developer. Editor Console Pro is a Unity editor extension. While Unity already has an editor console included, this asset provides additional functionality in order to enhance productivity. A* Pathfinding Project Pro is scripting/AI Unity Asset. It is used to help program the pathfinding of Artificial Intelligence (AI) in games. This would be to instruct enemies how to move in the game. Final IK can save you time with their advanced character animation systems for Unity Games. VR Panorama 360 allows you to render 4K videos and 360-degree panoramas in Unity. Curved UI is useful for creating a UI in VR. You can have normal menus in VR like you can in flat-screen games. The reason is that players are looking at things with two lenses, so the menus must be displayed in space. DaiMangou’s goal is to create assets that don’t require any coding, which is a noble effort. Their Pro Radar Builder has been used in virtual reality games like ioMoon and Space Pirate Trainer. They also have the Storyteller asset. Vertex Tools Pro is a painting tool for Unity game artists. Colorful FX is a set of fullscreen & (game) camera effects for Unity games. It is particularly useful for color adjustments and post-processing effects. Surforge is a tool for 3D-rendered texturing. It’s even great for those still learning the basics of game textures and 3D modelling. NGUI: Next-Gen UI is a Graphical User Interface (GUI) plugin on the Unity Asset Store. Outside of the actual gameplay mechanics, well-design GUI’s are key to a making a game playable. Players could be switching weapons, adjusting controls or music volume, pausing the game, or a plethora of other possibilities, but they must be able to navigate options seamlessly. NGUI has drag & drop controls already made so that developers don’t need to invest time in making a UI from scratch. 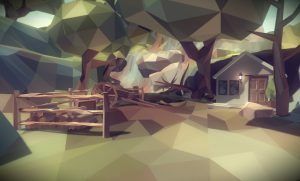 Octave3D helps Unity developers build levels with prefabs. UBER Standard Shader Ultra allows game developers to add AAA shaders to their scenes. Platformer PRO 2 is a 2D/2.5D kit for Unity developers that helps them create platformer games. It includes built-in functionality to do the hard parts for them, such as jump physics and other movement systems. Super Tilemap Editor gives game developers an easy way to create tile-based games. For those of you that aren’t familiar with tilemaps, they are a set of tiles that make up the building blocks of some 2D games. It was, and still is, a widespread technique that originally created to work with memory usage and graphics performance limitations on previous generations of hardware. 2D Tookit has many necessary features for 2D game development projects. Corgi Engine is a solution for creating 2D & 2.5D platformer games in Unity. Notable examples of the platformer genres include the Mario Bros. and Metroid game franchises. Adding 2D game support to Unity was a frequent request for years. While the native editor has improved, this is almost a new game engine within an engine. There’s also a Corgi Mega Bundle containing handcrafted 2D art. 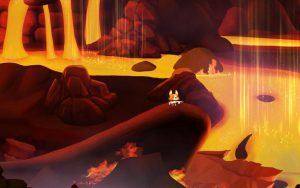 The creator of Corgi Engine, More Mountains, also release a 2D game development tool, TopDown Engine, for games that have a perspective from above. Famous examples of this game view styles include the early iterations of the Zelda and Final Fantasy game series. DoozyUI is another UI tool for Unity that’s compatible with any other asset that uses uGUI correctly since it only works with native components. DOTween Pro is a tool to help with game animations and transitions. Mesh Baker allows you to combine meshes, which could improve the memory/graphical performance of Unity games. Fingers Touch Gestures is useful for mobile games that require special touch controls. World Creator Professional is a procedural terrain & landscape generator for Unity. BiteTheBytes won the Best Game Technology award. TerrainComposer 2 is a node based terrain generator for Unity. It makes it easy for developers to create visually stunning game environments. Fantasy Environment is a collection of various game props and materials to give a mythical vibe for games made in Unity. POLYQUEST Worlds is a pack of exquisite low poly game art assets compatible with both mobile and virtual reality games. While $299.99 may seem like a steep price tag for some indies, bear in mind that amount is only a fraction of what a professional technical artist would earn in a month. Also note that it would very likely take more than a month to reproduce these scenes. POLYGON – Pirates Pack is a set of low poly graphical assets fit for pirate games. Text Mesh Pro is a tool that helps Unity developers create customized text inside their games. Update: Shader Forge is no longer available. More info here on Twitter. Shader Forge was a Unity asset that helps game developers create and adjust shaders. Shaders are how games adjust lighting, darkness, and various visual special effects. ProCore Bundle is a suite of level design apps for Unity. It is intended to allow developers to complete tasks that would normally have to be done within separate programs, such as Maya or Max. This change in the process of making a game reflects upon a wave within software development as a whole: rapid prototyping. As many Indie developer teams consist only of a handful of people, it is essential that they quickly iterate on new game level builds. It is a handy tool that solves the issue of how to build static meshes in Unity. After reading some reviews of these assets, I noticed that some customers have asked: ‘Why isn’t this included natively in Unity’. This highlights one of the great reason why Unity Assets are great for the indie game development ecosystem. Unity Asset Store publishers can fill gaps left by missing features and capabilities in the engine itself. 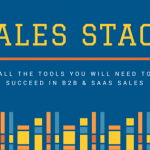 Solo developers or small teams can save valuable time by purchasing these ready-to-use assets, and asset creators get a share of each sale for their efforts. Symbiotic relationships like these are key towards developing a beneficial ecosystem. Did I miss any? Feel free to leave a comment below and I’ll check it out. Thanks for reading! I should call rest api on my unity project. I consider between ‘best http’ asset and UnityWebRequest. Can you recommend? and why? If you want to use it only for REST api, the new UnityWebRequest can be a good choice too. terrain composer, gaia, map magic, and world creator… all of them are awesome. I think i will get Map Magic cause it can procedurally generate terrain at runtime, and i think it supports biomes. I am new to Unity, me and my friend started to working together we do the same project from different places , i would like to know the license terms if i buy and can i able to share with him the utility, we do the project together or we have to log the account both side the one purchased the assets? 2, all are this can able to use for commercial purpose on my projects? I’m pleased to hear that you are beginning to learn Unity! To answer your first question, whether or not you can share a particular utility depends on the specific asset. If you see the phrase: “This extension requires one license per seat”, then each of you would need to purchase it separately. Book a call with me on Clarity.fm!  What is Growth Hacking in 2018? What’s Next for Digital Marketers? Which Game Industry Events Should You Attend? Indie, B2B, Mobile, etc. How Did I Become a ‘Marketing Guy’? © Copyright 2016-2018 Nolan Clemmons, Wufasta LLC. All Rights Reserved.